Nina Vladimirovna Timofeyeva was born in Leningrad in 1935 and studied at the Leningrad Choreographic School under Natalia Kamkova. She made her debut on the Kirov stage in 1952 while still a student, dancing Masha in Vainonen's The Nutcracker. 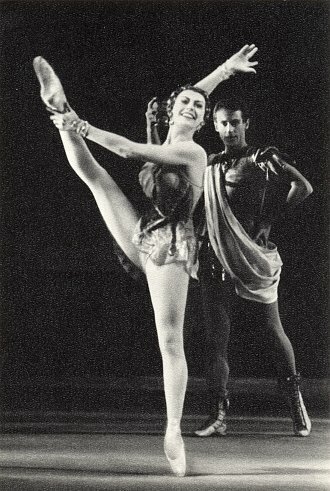 After her graduation in 1953 she joined the Kirov Ballet. 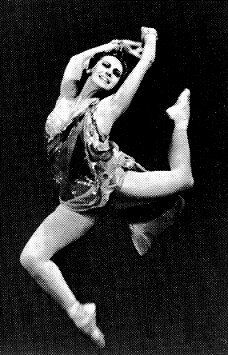 Although her talent was acknowledged from the start and she was cast as Odette-Odile at a very early stage in her career, Timofeyeva didn't enjoy any particular success while she was dancing with the Kirov. In 1956 she moved from the Kirov to the Bolshoi in Moscow, taking part in the historical tour to England that year. Her first seasons at the Bolshoi went mostly unnoticed as well and, initially, Timofeyeva remained for many nothing more than a strong, but cold technician. 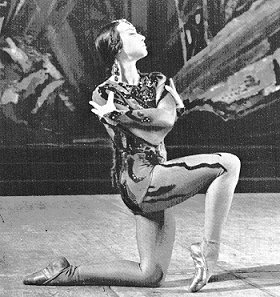 Nonetheless, as she gradually expanded her repertoire with the traditional classics (Don Quixote, Giselle, The Sleeping Beauty, Raymonda), by tirelessly polishing her technique, she developed into one of the great virtuoso ballerinas of the day, whose steely strength and dynamic style (Alexander Demidov described her jeté as "the crack of a rifle") instilled the purely academic patterns with a dramatic impact and expressive force. However, it was with a string of contemporary creations revealing her gifts as a tragédienne that Timofeyeva gained full recognition and eventually became one of the Bolshoi's top ballerinas. In 1961 she scored a certain success with her creation of the Young Girl in Leonid Lavrovsky's Night City. A few years later, her interpretation of Mekhmene Banu, the hapless queen in Yuri Grigorovich's Legend of Love, newly staged at the Bolshoi in 1965, became her defining moment. 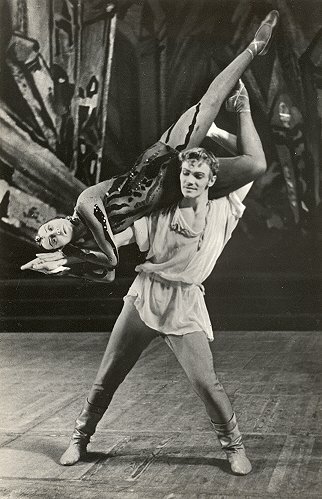 In 1967 she moreover created the title role in Oleg Vinogradov's Asel, again a tragic character, while in 1968 Grigorovich devised for her the part of the scheming courtesan Aegina in his Spartacus. 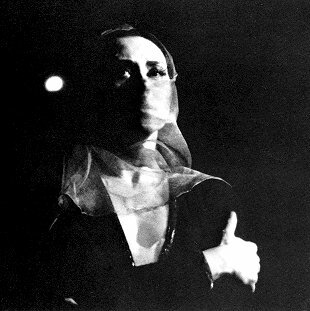 The crowning achievement of her career was her creation of Lady Macbeth in Vladimir Vasiliev's ballet Macbeth in 1980. Timofeyeva imbued each of these roles with unsuspected emotional depth, in that perfectly matched by the leading artists of her generation, like Vladimir Vasiliev and Maris Liepa. Nina Timofeyeva was awarded the title of People's Artist of the USSR in 1969. In 1980 she also graduated from the Choreography Department of the Lunacharsky Theatre Institute in Moscow where she studied under Rostislav Zakharov. She retired in 1988 and has subsequently been working as a teacher at the Bolshoi Theatre. 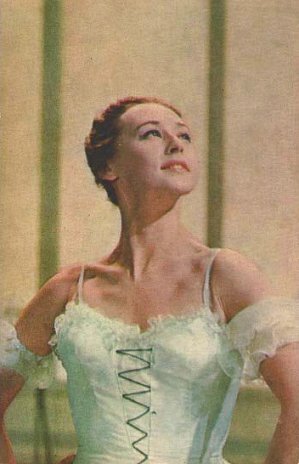 She appeared in several television ballets and some of her most significant roles have been preserved on film (Aegina in Spartacus and Lady Macbeth). Nina Timofeyeva has been married to the composer Kirill Molchanov (1922-1982) who wrote among others the music for Macbeth. Nina Timofeyeva died in Jerusalem on November 3, 2014. A. Demidov. The Russian Ballet. Past and Present. London, 1978. I. Gruzdeva. 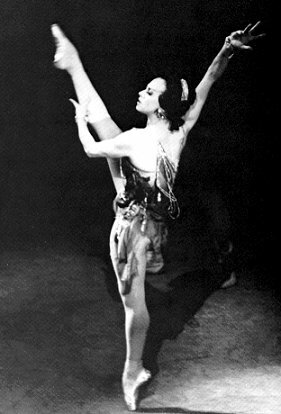 Nina Timofeyeva, in: International Dictionary of Ballet, volume II, 1993. Text of Nina Timofeyeva Copyright © 2002 Marc Haegeman. All rights reserved.